Two of our client’s sterile pharmaceutical manufacturing plants received multiple FDA 483s for not adhering to pharmaceutical facility and equipment preventative maintenance procedures. 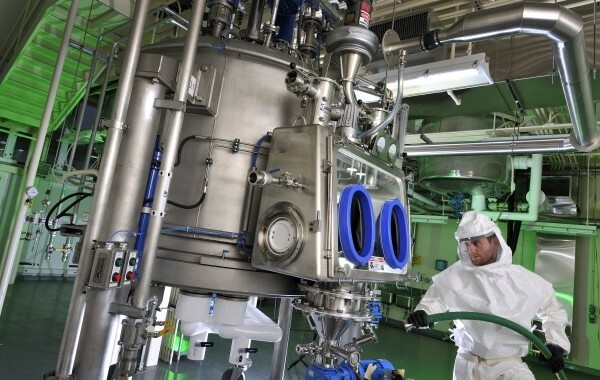 Additional observations noted that CAPAs had been open for 3 years but pervasive failures of pharmaceutical manufacturing equipment, purified water, air handling, and other environmental systems persisted. The FDA raised further concerns regarding what they considered a “culture of equipment apathy” and only taking “corrective action after equipment failure vs. focusing on prevention”. Regional Leadership turned to WGA to audit each of the pharmaceutical plants. We measured the maturity of pharmaceutical maintenance practices. WGA conducted an accelerated RCP benchmark exercise at each plant with a focus on preventative maintenance practices. The Regional Leadership team increased WGA’s scope of the audit to include personnel qualifications and planning & scheduling after preliminary findings. WGA then defined and delivered a holistic remediation action plan for both pharmaceutical plants. Upon completion of the RCP benchmark, WGA determined that nonexistent PM plans and the failure to complete PMs when scheduled were key causes . Working with other suppliers, WGA also identified facility subsystem, equipment end-of-life, layout and utility design problems which also played a role. Disagreement with the FDA’s findings, indifference and inaction by site leadership teams also contributed to maintenance practice failures. WGA developed and managed the remediation action plan for each of the pharmaceutical plants. Our solution included a complete overhaul of maintenance practices at each site, production scheduling changes, new metrics, quarterly internal maintenance audits, professional development for maintenance personnel, new maintenance information reporting tools and site leadership changes. WGA’s action plans and timeline satisfied the FDA and our client was able to avoid further regulatory escalations. Posted in Case Study, Pharmaceuticals and Medical Products, RCP.